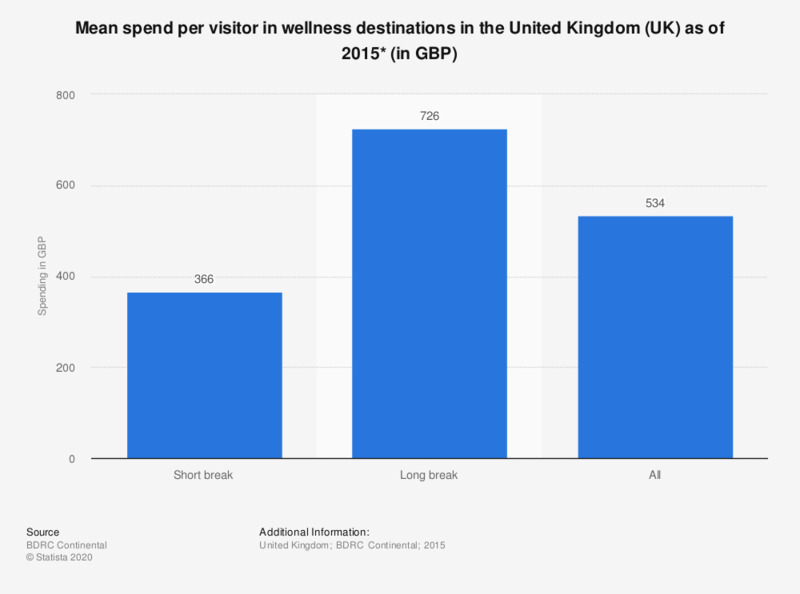 This statistic shows the mean spend per visitor in wellness destinations in the United Kingdom (UK) as of 2015. There was a mean holiday spend on short wellness breaks of 366 British pounds, and a mean holiday spend on long wellness breaks of 726 British pounds in 2015. Which kind of retreat is appealing to you?